On-site document and hard drive shredding services for the residents and businesses in the city of San Jose. We are located in San Jose, so you can expect a quick response and fast service. 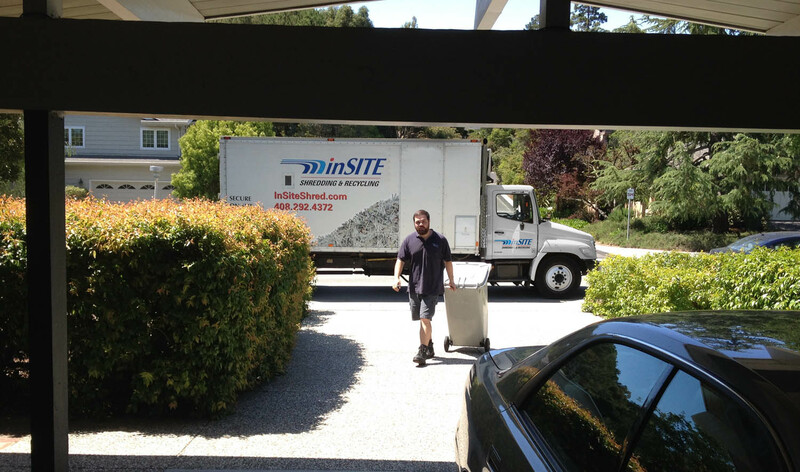 InSite's mobile shredding services are especially designed for San Jose's residential and commercial clients who have sensitive documents that need to be destroyed quickly and securely. Our state of the art mobile shredding trucks allow you to witness the destruction of your documents curbside at your home or business. This saves you time and money. Insite's process complies with all Federal and State privacy laws. All shredded materials are recycled. InSITE is insured, bonded, carries workman's comp insurance, and provides document destruction in compliance with the Red Flag Laws. Your identity is safe with us.